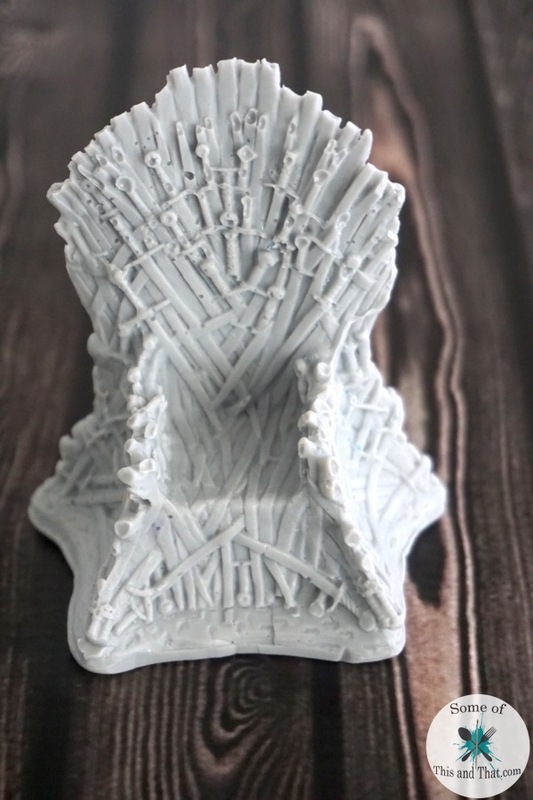 DIY Game of Thrones Iron Throne Soap! Have you ever had a crazy idea and just went for it? That is how this project started. 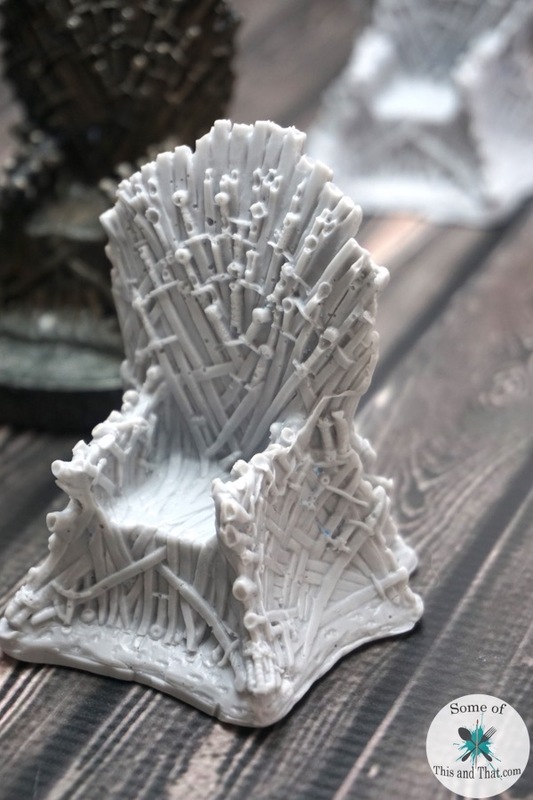 I was looking around my office for inspiration and I spotted my mini Game of Thrones Iron Throne setting on the shelf. I though, “I wonder if I can make this into soap?”. So that is what I did! I did not have high hopes for this project, but to my surprise, it turned out pretty awesome! 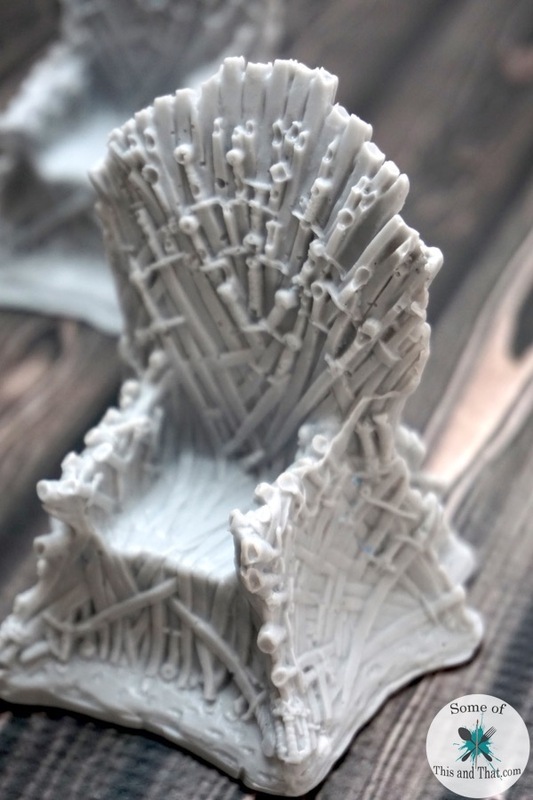 So, today I am going to show you how I made this DIY Game of Thrones Iron Throne Soap! 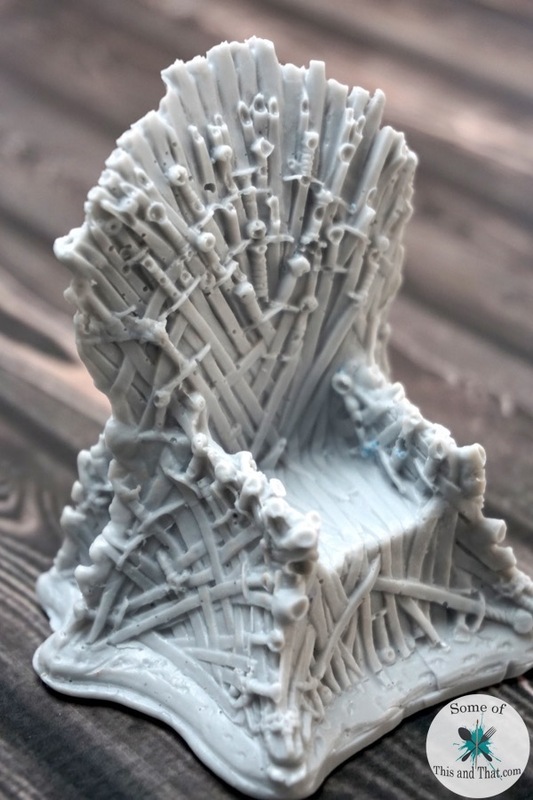 My mini Throne had a lot of detail, so I was afraid that the soap version would lose a lot of it. I was wrong, all of the detail was picked up in the soap! You could really bring the detail out if you dust it with powder pigment, but unfortunately I was out. Even without it though, it still looks pretty darn amazing! Check out the video below to see the step by step process on how I did it! Be sure to check out all of our other Nerdy Crafts! We also have an Etsy Shop now! New products are being added daily! 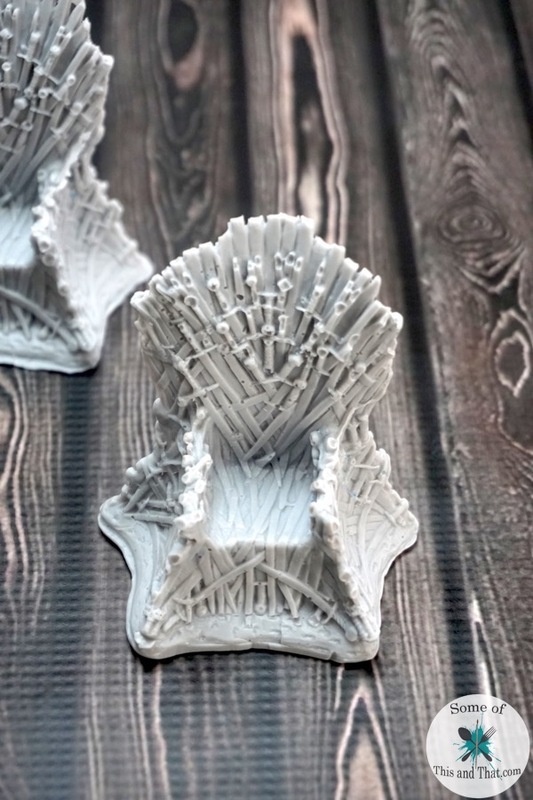 Are you a fan of Game of Thrones? I can not wait for Season 7 to come out! Previous Post: « Doctor Who Chocolate Souffle Recipe!